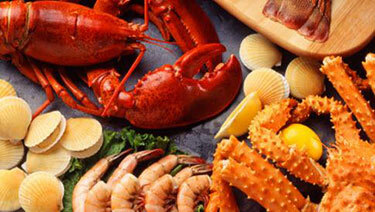 The Topsail Area has a great variety of restaurants for you to enjoy whether you are new to the island or on vacation. Whether you are looking to savor some fresh-caught local seafood, in the mood for fine dining with breathtaking water views, wanting to expose your taste buds to something exotic like a sushi bar or Thai cuisine, or simply searching for that great little pizza shop to bring something home, this island has it all! 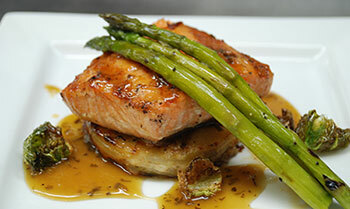 For the website and contact information for Beauchaines 211, whose entree is pictured, follow the links provided. Click Here for some favorite local spots we recommend based on our personal experiences and tastes, feel free to frequent them or try something different! Click Here for all area restaurants, numbers, locations, and websites for your convenience. Along Topsail Island there are locally owned and operated shops with all varieties of delicious desserts to satisfy your sweet tooth. This includes specialty bakeries, Italian ice shops, frozen yogurt bars, ice cream shops, and more. The Corner Sweet, whose Fourth of July cupcakes are pictured, specializes in freshly baked breads, cupcakes, cookies, and pastries that will keep you coming back for more! 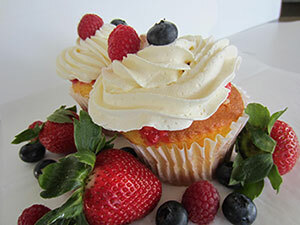 During your stay, be sure to stop in to this local favorite bakeshop. For your caffeine fix, visit one of the island's coffee bars for your favorite beverage. Quarter Moon Bookstore and Coffee Bar is the perfect place to sit down with a great book and one of their delicious beverages. They offer gourmet coffee, iced drinks, and smoothies made with fresh fruit or espresso shots. Click Here for all area dessert and coffee shops, numbers, locations, and websites for your convenience. 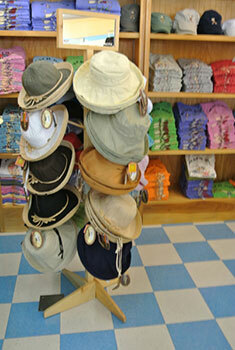 Get some retail therapy in the many unique shops on Topsail Island. Whether you need a new outfit for a nice dinner in Surf City, a special gift for someone back home, a souvenir to remember your vacation, or some beach attire and necessities, this island has it all! From the shopping centers on the mainland right before the swing bridge, to the quaint local shops in Surf City, and the shopping district on the South End of the island, there are plenty of stores to peruse wherever you go. The photo to the right is of the Beach Shop and Grille, stop in for a signature Beach Dog T-shirt or memorabilia! Make sure when you leave to take a piece of the island home with you! Click Here for all area gift and souvenir shops, numbers, locations, and websites for your convenience. Adventurous types will have no shortage of thrilling activities to experience while visiting Topsail Island. Kayaking Tours, Paddle boarding, Jet skiing, Scuba Diving, and of course Surfing, are just some of the fun activities to enjoy during your stay. There are plenty of sport and surf shops with knowledgeable locals to help you with all your rental needs. Whether you are a seasoned pro looking for the necessities and some like-minded thrill seekers, or a beginner looking to venture out and take some lessons, these shops are the first step in experiencing the exciting sports of Topsail Island. Visit On Shore Surf Shop for all your needs, whose merchandise is pictured. 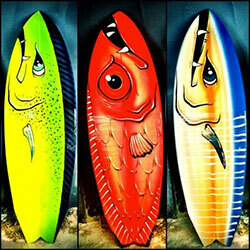 Click Here for all area surf and sporting goods stores, numbers, locations, and websites for your convenience. 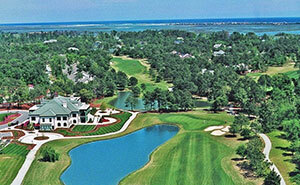 Topsail Islands surrounding areas are known for their beautiful country clubs and golf courses. Golf enthusiasts from all around are drawn in by the pristine greens, sunny skies, and warm temperatures. It is no wonder these perfect conditions lure local businessmen and beach bums alike off the island for a pleasurable round of golf at scenic coastal courses. Designed to accommodate the casual novice and challenge the seasoned pros, the varying terrain pleases all different age groups and skill levels of golfers. Reserve your tee-time and do not miss out on these stunning courses during your stay! Pictured to the right is the scenic Porter's Neck Country Club. Click Here for all area golf courses and country clubs, numbers, locations, and websites for your convenience. While Topsail Island is a small beach town, there are still local grocery stores conveniently located on and off the island for all your needs during your stay. The Surf City IGA has great fresh produce, dry goods, and fresh meat from the butcher. The local seafood markets provide all the fresh-off-the-boat fish, shrimp, crab, and more with quality seasonal selections of all the sea has to offer! Just off the island there is a Food Lion and brand new Harris Teeter for all your other grocery and household needs. Click Here for all area grocery stores and fresh seafood markets, numbers, locations, and websites for your convenience. When the sun sets on Topsail and the beaches empty, there are plenty of local beach bars and restaurant lounges along the island to go for some drinks with your group or meet some new people. From DJs and dancing, karaoke, sports bars, live music, or just the laid-back local watering hole, there is something for everyone to enjoy. The Brass Pelican is a favorite spot for residents and serves as "the unofficial welcome center of Surf City." With delicious burgers, over 20 varieties of wings, and plenty of big screen TVs, this is a great place for the sports fan. Also, the large outdoor deck provides a great place to spend a summer night under the stars while enjoying some corn-hole and local live music with great people. There is no shortage of nightlife in this lively little beach town, wherever you end up is sure to be a good time. 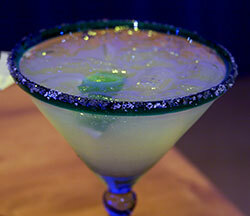 Click Here for all area bars and lounges, numbers, locations, and websites for your convenience. 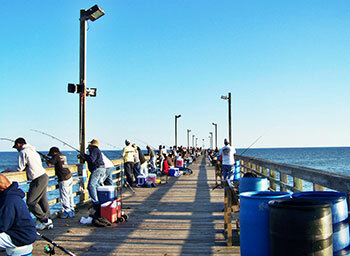 Fishing on the sound or surf casting on the beach are both popular pastimes in the Topsail Island area. There are several local bait and tackle shops, with the experience to help you get started or stock up on the right supplies for a successful day of fishing. The three main fishing piers along the beach are great spots to cast off and are conveniently located on the South End, North End, and Surf City, just a short drive from anywhere on the island. There are also many fishing charters if you are looking for a guide to great inshore and offshore fishing, ready to pick you up anywhere on the island for an exciting adventure and great learning experience for the whole crew! Click Here for all area fishing piers and charters, numbers, locations, and websites for your convenience. If you are looking for other activities Topsail has to offer, there are family parks, miniature golf, a historical museum, sea turtle hospital, arcade, and old school skating rink for your enjoyment. There are parks all around the island, Soundside Park is the largest and is located right after you cross the swing bridge onto the island. It offers a childrens playground with slides, climbing areas, and swings, plus covered picnic areas, public restrooms, and piers for fishing. Friday nights bring your lawn chair or blanket and come enjoy a family friendly movie under the stars, admission is free! 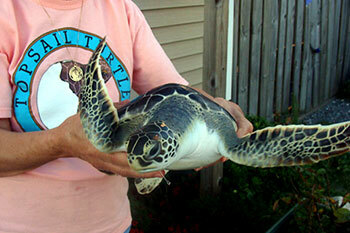 The Karen Beasley Sea Turtle Rescue and Rehabilitation Center is home to endangered Loggerhead sea turtles that inhabit and nest on the island and have been injured. The facility is open to visitors in the summer, one of their patients is pictured to the right! If you are looking for an educational opportunity on the history behind Topsail Island, visit the Missiles and More Museum featuring artifacts and displays from past to present and no admission charge! Click Here for all area activities, numbers, locations, and websites for your convenience.